So, here is the second highest movie of Ranveer after Simbha. Another movie of Ranveer is Gully boy. This is predicted that Gully Boy movie also hit the Cinema. Gully boy trailer is running out. So many viewers comment that they like the trailer. In the movie Gully boy, Ranveer Singh and Alia Bhatt bring alive underground hip-hop in Zoya Akhtar’s gritty film. 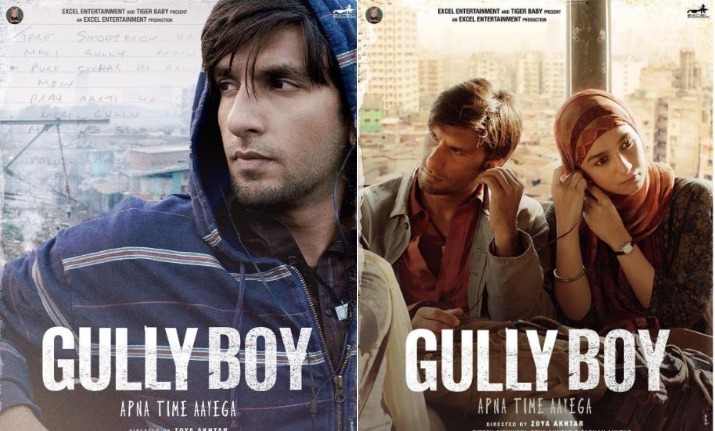 Gully boy is an upcoming Indian Hindi Language musical film. The film is about a 22-year-old Muslim kid from hero in Bombay. The boy is a rapper, and the story is his journey from realising his love for rap, to chasing his dream, and to inadvertently transcending his class. The cast of the film Gully Boy is Ranveer Singh, Alia Bhatt, Kalki Koechlin, Siddhanth Chaturvedi, Vijay Raaz, Vijay Varma and Amruta Subhash. It is the only true political space in music right now and it is coming from people that have nothing to lose, the colonized poor. The principal photography on the film began in January 2018 and wrapped up in April 2018. It is confirmed for release on 14th February 2019. It is confirmed that the audio will be released on the 24th of January 2019. The first look official poster of the film Gully boy released on 1st January 2019. It also gives the valentines day release date. Two new theatrical posters revelling looks of lead actors of the film unveiled for the public on 2 January 2019. It was predicted that Gully boy movie also rocks in 2019. Lastly, the movie done by Ranveer that is Simba’ saw him play a loud, over-the-top, brash cop in his self-confessed first-ever masala film. And the amazing fact about the movie that so many audiences accepted the film with too much love, as it is the way to becoming one of Ranveer’s highest-earning films.